After seeing a PC release earlier this year, console fans are now able to experience Mars War Logs today on the Xbox 360. If you’re on the Playstation 3, however, you’ll need to wait a few more weeks until you’re able to check the game out. Mars War Logs takes you to Mars, nearly a century after a huge cataclysm that threw Mars and its colonies into chaos. You play as Roy, a renegade caught in the middle of a civil war, while different corporations fight over the most precious resource, water. Follow an immense main quest in which every choice counts, develop your character and your combat style by choosing among many different talents and skills. 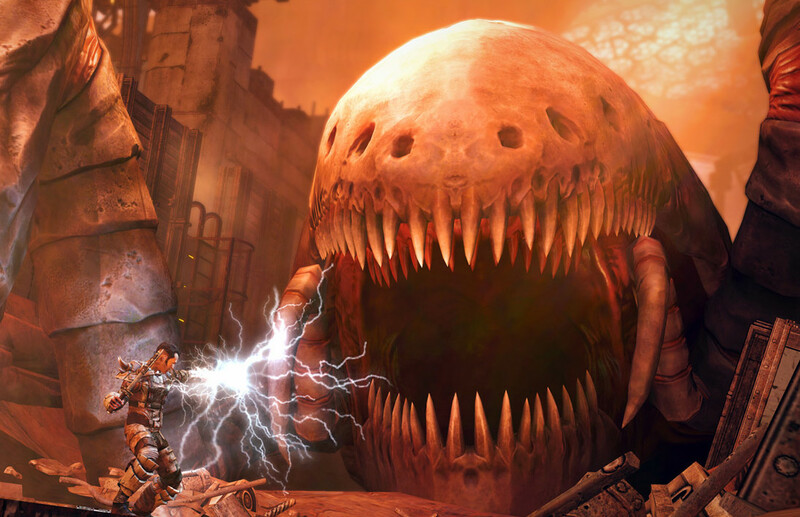 In dynamic, real-time combat, face fearsome opponents including some of the most terrifying creatures of Mars. The craft system lets you create and modify your equipment, your weapons and your armor. Your behavior during dialogues, as well as your choices and decisions will influence your companions and the fate of the people who will cross your path… and maybe the fate of all the colonies on Mars. To celebrate the console releases, we are delighted to reveal three new game screenshots where we find Roy, the main protagonist, again roaming around the most dangerous places on the Red Planet. Are you planning to pick up Mars War Logs? Have you played the PC version of the game? Be sure to let us know what you think by leaving us a comment below, or continue the discussion on Facebook and Twitter.